Generalized overview of ATom flights. During each of the four campaigns, ATom flights originated from California, flew south over the Pacific Ocean, then north to the western Arctic, southwest to New Zealand, east to Chile and the Atlantic Ocean, north to Greenland, and returned to California across North America. During flights, the aircraft continuously profiled the atmosphere from 0.2 to 12 km altitude. The initial release of ATom-3 & Atom-4 merged airborne-collected data is now available, and data from Atom-1 and Atom-2 were updated to latest versions. The dataset provides information on greenhouse gases and human-produced air pollution, including atmospheric concentrations of carbon dioxide (CO2), methane (CH4), tropospheric ozone (O3) and black carbon (BC) aerosols. 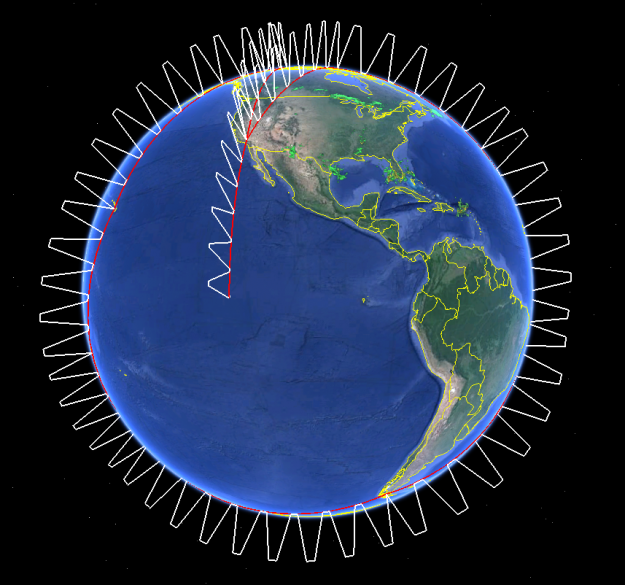 The Atmospheric Tomography Mission (ATom) is a NASA Earth Venture Suborbital-2 mission. It studied the impact of human-produced air pollution on greenhouse gases and on chemically reactive gases in the atmosphere. See all data from ATom.